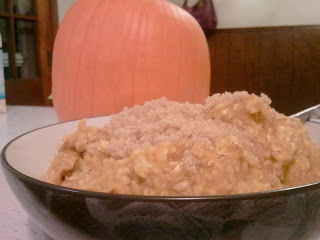 I <3 pumpkin. If you do not, you might want to turn away now. 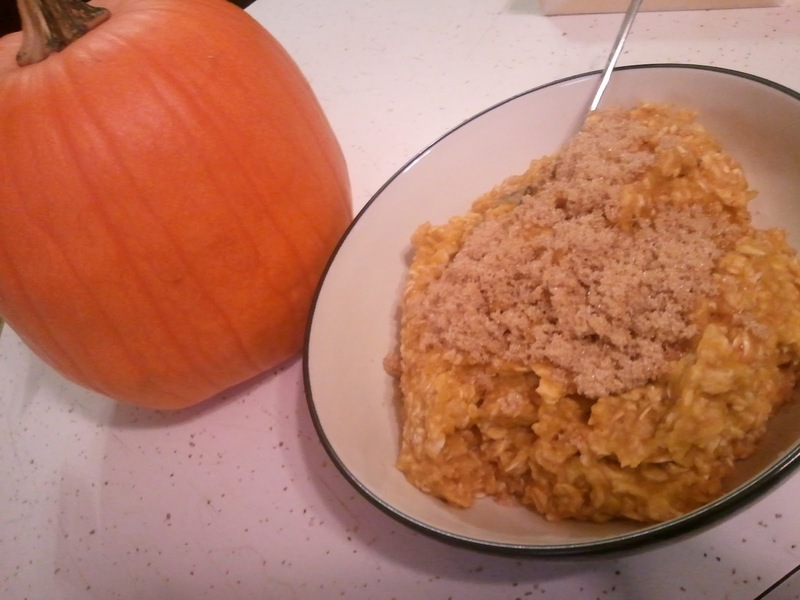 This recipe is so easy, too. Put some canned or fresh pureed pumpkin in a saucepan. 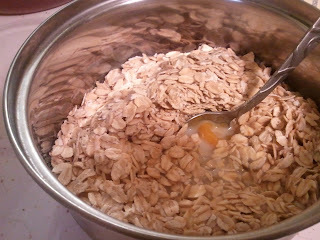 Add some whole oats (preferably not quick-cooking) and a little milk (I used flax milk). Stir. 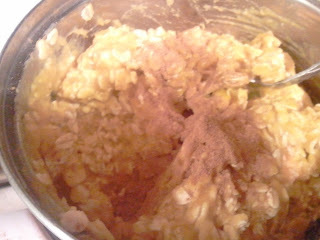 Add pumpkin pie spice and honey. Cook on medium until warmed through and serve topped with brown sugar. Yum! And I even tried to pose a food photo for you. You're welcome. 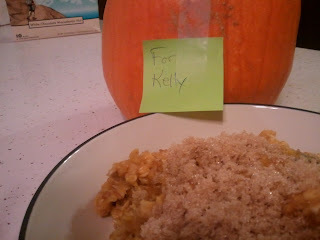 And thanks to my friend's mom who got this pumpkin for me at a local farmer's market. It will soon be something delicious. 1. Mix everything but brown sugar in a saucepan. 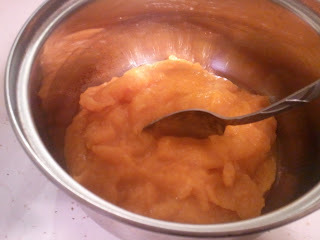 Cook on medium until warmed through. 2. Top with brown sugar and eat immediately.